Is the Samsung Galaxy A4 being tested in India? An unknown Samsung handset with the model number SM-A430U has appeared on India's import-export tracking site Zauba. Considering that the Samsung Galaxy A3 (2016) is SM-A310 and the Samsung Galaxy A5 (2016) is SM-A510, the phone being tested could be the Samsung Galaxy A4, although this is far from being a sure thing. 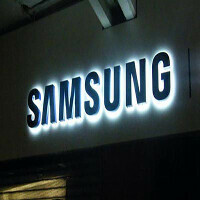 On May 2nd, Samsung imported three units into India for R&D and evaluation. Each unit was valued at $477.18 which doesn't necessarily mean that the phone will be priced at that figure. It does indicate that this model won't be an entry level or low to mid-range handset. While specs for the SM-430U were not listed (occasionally the screen-size is posted on a Zauba entry), we can see that three data cables and three SIM cards were sent for use with the handsets undergoing R&D Purpose and Evaluation. This could indicate that the manufacturer is deciding whether this is a model worthy of producing. Considering that the three phones just made it into India two days ago, it will be some time before this particular model gets introduced, if Samsung does green light it. Hopefully, some leaks will surface that will either confirm that the SM-A430U is a Samsung Galaxy A4 variation, or some other model that is being prepped for release. Is that the Samsung Galaxy A4 that was sent to India for a little R&D? Nice business strategy though...flagship S model in first half of the year, Note in the second half...they seem to be following a similar strategy for midrangers as well...A3, A5, A7 in first half, A4,A6,A8 in the second. yes ..another option for market... thanks to android... as well. for Samsung..
One word: Nexus. The 5X is miles better performer than these bloated mid-rangers... Stock Android, eh? A4? whats next? J4 and C4? Samsung skipped A1, A2, A4 as they are planning to release those models in 2016. PA should stop with the intrusive ads, cant use mobile anymore.